An India-funded world-class train now connects two parts of Sri Lanka. 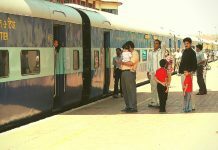 A new passenger train, funded by the government of India has been inaugurated between the capital city of Sri Lanka, Colombo and Kankesanthurai. World-class ‘Make in India’ DEMU train flagged off in Sri Lanka! An India-funded world-class train now connects two parts of Sri Lanka. 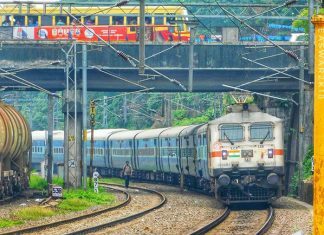 A new passenger train, funded by the government of India has been inaugurated between the capital city of Sri Lanka, Colombo and Kankesanthurai. 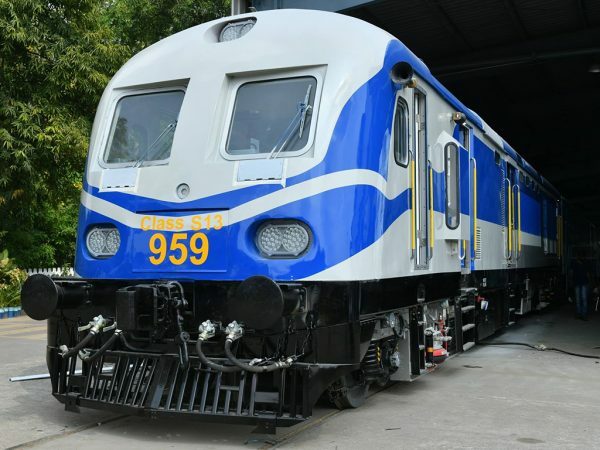 The Indian High Commission in Sri Lanka said that under Indian concessional financing, the new Diesel Multiple Unit (DMU), a 13-coach train set, was procured by Sri Lanka Railways. 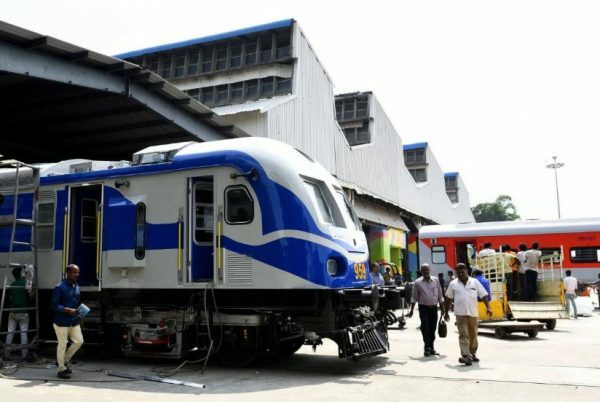 According to a PTI report, the new passenger train has been flagged off by Sri Lankan President Maithripala Sirisena at the Colombo Fort main railway station, in the presence of Indian High Commissioner Taranjt Singh Sandhu. Economy Class seats are of cushioned bench-type facing each other. Business Class seats are individual cushioned seats along with backrest able to recline facility. Rotatable seats in AC chair car. Two-flap Aluminium windows as well as vestibule sliding doors of Aluminium with glass lookout. Coaches provided with modular toilets with air-assisted flushing. GPS based passenger information LCD display to indicate location, speed as well as any other announcement. 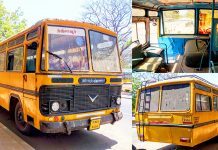 Coaches equipped with Oscillating-type fans that cover 360 degree along with wide air circulation facility. Coaches equipped with Aluminium extruded frame luggage racks with glass bottom. LED lighting feature that is suitable for operating voltage of 70-130 V DC range. 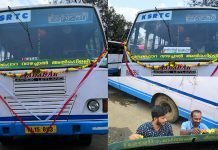 AC coaches provided with curtain rails for windows. The contract agreement for the supply of as many as 6 DMUs as well as 10 locomotives to the Sri Lanka Railways was signed in the month of March 2017. According to the Indian High Commission, the total contract is worth $100 million. 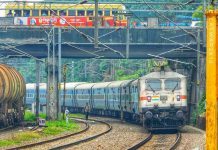 So far, for the development of Sri Lanka’s railways, India has committed lines of credit worth $1.3 billion, the report said.